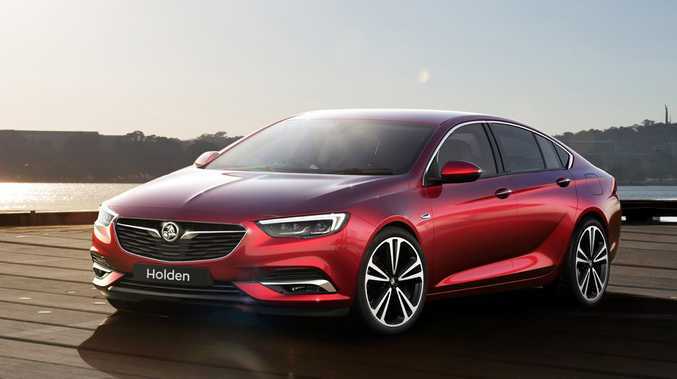 BREAKING COVER: The next-generation Holden Commodore has been revealed in sleek Liftback form. HOLDEN has released images of the all-new Commodore ahead of its Australian launch in early 2018. The new NG Commodore - the first time the iconic Aussie nameplate will feature on a fully imported model - has been designed in Germany by Opel with input from GM Holden's team. 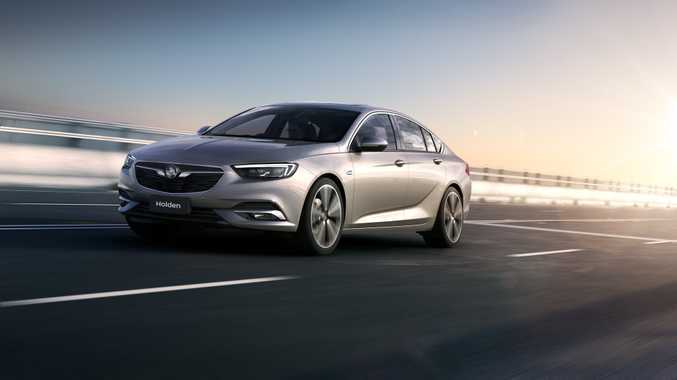 It is fundamentally the same car as Opel's new Insignia (which will be revealed at next March's Geneva Motor Show), and will replace the current Australian-made Commodores after local production winds up next year. The new car should be around 200kg lighter than the current Commodore. The images reveal a sleek four-door sedan with coupe-esque roofline and liftback rear, while the cabin has a clean and unfussy premium look with large centre console and piano black trim. 2018 Holden NG Commodore revealed for the first time. Advanced features will include autonomous emergency braking, adaptive suspension with Drive Mode Control (Standard, Tour and Sport), a 360-degree camera, adaptive cruise control and matrix lighting. Infotainment includes Apple CarPlay and Android Auto, an 8-inch LCD touchscreen and a next-gen head-up display. As was known previously, there will be no V8 or rear wheel drive Commodore when the 2018 NG model arrives. The flagship will instead be a 230kW/370Nm V6 with nine-speed automatic and all-wheel drive system. Four-cylinder 2.0-litre turbo petrol and diesel front-wheel drive models will make up the rest of the range, coming in Liftback and Sportwagon body styles. 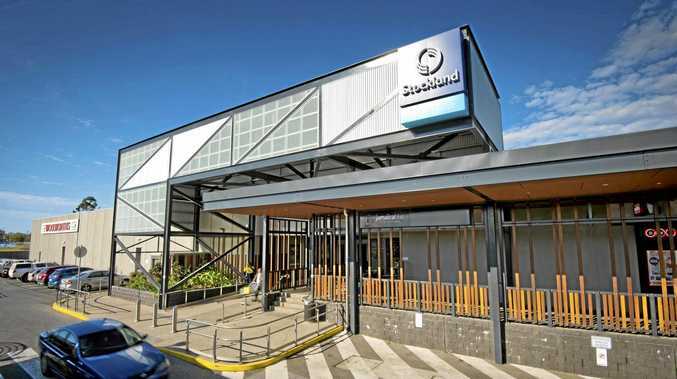 "Customers are expecting more of their vehicles than ever before," said Holden's Executive Director of Sales, Peter Keley. "The all-new 2018 Commodore redefines the level of technology people can expect, and how tech can help our customers be safer, more involved and more connected than ever before." 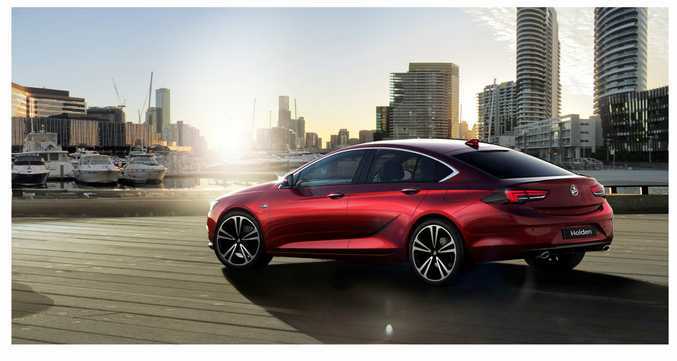 It's too early to know exactly what model grades and features will arrive on the new Commodores, but Holden says available goodies will include Lane Departure Warning, Forward Collision Alert, Side Blind-Zone Alert and Rear Cross Traffic Alert, while on the comfort front, expect top grades to come with heated front and rear seats with massage function and a power tail-gate for the Wagon version.